The Carbon Tax: A Conservative Idea? Summary: Some argue that a carbon tax would be a less harmful alternative to ever-greater environmental regulation, but the idea has such strong drawbacks that few conservatives are willing to support it. Still, non-conservative donors continue to push the scheme among conservatives. Is the carbon tax genuinely popular with conservatives and Republicans? For over a year, reports have been cropping up in the media about the supposed growth of conservative and Republican support for a carbon tax. A former congressman, Bob Inglis (R-S.C.), seems to be devoting himself to the project. The Christian Coalition, often identified as part of the “religious right,” and some economists at the American Enterprise Institute, a think tank associated with the Republican establishment, have spoken kindly about the idea. 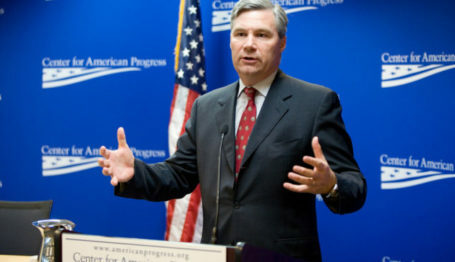 Other carbon tax supporters with Republican credentials include Douglas Holtz-Eakin, chief economic adviser to John McCain’s 2008 campaign and now president of American Action Forum; Greg Mankiw, economic advisor to President George W. Bush and to Mitt Romney; former Secretary of State George Shultz; Nobel laureate economist Gary Becker; and Arthur Laffer, the guru of supply-side economics. While the vast majority of Republican, conservative, and free-market activists believe a carbon tax would be disastrous for the country and disastrous at the ballot box, Inglis and others are conducting a well-organized, well-funded campaign to overcome their resistance. Not as bad as the alternatives? First, some background. In 2009, when Barack Obama became President and liberal Democrats had overwhelming control of Congress, environmentalists were optimistic they would win their long fight to impose strict federal controls on carbon dioxide (CO2). Their legislative proposal was called cap-and-trade, which the President had admitted would shut down coal-fired power generation and cause electricity prices to “necessarily skyrocket.” Cap-and-trade would have put limits on total emissions of CO2 and set up markets for buying and selling emissions permits. It passed the House, but died in the Senate. Foiled by the democratic process, the President decided to impose carbon dioxide restrictions by way of the Environmental Protection Agency (EPA) and other parts of the federal bureaucracy. This June, he announced regulatory restrictions aimed at the same goals as cap-and-trade. Most conservatives, Republicans, and supporters of free-market ideas strongly oppose such restrictions, but a small number of people who describe themselves as right-of-center support a related idea—a tax on carbon dioxide emissions or “carbon tax”—as an alternative to cap-and-trade or to the President’s new ultra-regulatory plan. Thus, to conservatives and their allies, the main selling point for a carbon tax is that it may be the least of many evils. Why do environmentalists target carbon dioxide? CO2 is invisible, a “trace gas” that makes up roughly one 2,557th of the earth’s atmosphere—the rough equivalent of five tablespoons of water in a 50-gallon tub. Humans and other animals exhale it, and plants inhale it (and, at night, exhale it). CO2 is necessary for the existence of life as we know it. It gives us soda pop, beer, and leavened bread. But along with water (H2O), methane (CH4), nitrous oxide (N2O), ozone (O3), and fluorinated gases (CFCs, HFCs, and SF6), it is classified as a GHG, a “greenhouse gas” that traps heat in earth’s atmosphere. A carbon tax would put a gradually rising fee on carbon dioxide emissions from sources such as power plants and coal mines, or on coal or gasoline or other products that emit carbon dioxide when consumed. The specifics of the tax, such as the stage at which the tax is levied, vary from one proposal to another. This would create incentives for lowering carbon dioxide emissions and would also make non-carbon-based energy sources more attractive by comparison. What’s wrong with a carbon tax? It has been sold as a more efficient, transparent way to reduce carbon dioxide emissions than adding to the existing labyrinth of environmental regulations. Proponents argue that some environmental regulations could even be repealed with a carbon tax, perhaps as part of a Grand Bargain between environmentalists and supporters of business. Carbon tax proponents claim that increased revenues would be used to pay down the federal budget deficit. (Their analysis assumes that revenues would increase—that is, that a carbon tax wouldn’t cause a reduction in revenues by suppressing economic growth.) According to Brookings Institution fellow Adele Morris, a $16 per ton carbon tax that rises 4 percent annually would reduce the deficit by $815 billion over 20 years. To bring conservatives and their allies on board, proponents of the carbon tax say it would be enacted only as part of a revenue-neutral “tax swap”—that the tax hike would be offset by cuts in corporate or personal income taxes, payroll taxes, or some other taxes, and that the competitive advantage a tax would give to, say, India or China would be offset with tariffs. Last February, at the Conservative Political Action Conference (CPAC) in Washington, the nation’s premier gathering of conservatives, someone distributed cards promoting “conservatives4carbontaxes.com.” The slogan on the cards: “Join the Winning Team!” The website declares, “Nobody likes taxes, but a sovereign and judicious people will levy them wisely.” It highlights the view of a number of people with Republican backgrounds who support the tax, along with major corporations that have called for a “stable price” for carbon. The site is registered to Rachael Sotos, an adjunct professor at Pace University. Her Facebook page attacks “fox wing media,” links favorably to a story suggesting that fracking causes earthquakes, and notes that she “likes” Media Matters for America, the George Soros-funded group that attacks the alleged right-wing bias of the news media. But the campaign aimed at conservatives goes far beyond cards distributed semi-anonymously at a conservative conference. Taking the lead in the overall effort is former Rep. Inglis. His group, the Energy and Enterprise Initiative, based at George Mason University in the suburbs of Washington, D.C., is one of the groups taking the lead in the so-called conservative push for a carbon tax. This is his story: With a heavily Republican district, Bob Inglis could have stayed in Congress a long time. Instead, he took an anti-science position on the Global Warming issue, and that helped cost him his seat. Inglis, a lawyer, was first elected to Congress in 1992, defeating Democrat Liz Patterson in the Greenville/Spartanburg, South Carolina district that borders North Carolina. In 1994 and 1996, he was re-elected with more than 70% of the vote. He gave up the seat in 1998 to run against Sen. Ernest “Fritz” Hollings (D), holding Hollings to 53%. Jim DeMint got the House seat and held it until 2004, when DeMint was elected to the Senate and Inglis took the House seat back with some 85% of the primary vote. He was re-elected in 2006 and 2008. 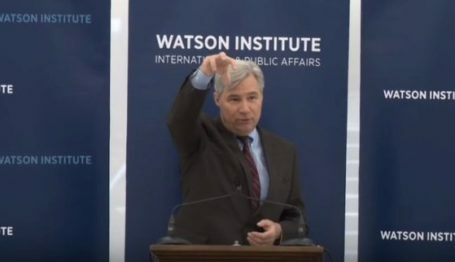 Along the way, Inglis took some positions that angered his constituents, such as opposing the Iraq “surge,” voting for the Big Bank Bailout of 2008, and opposing drilling offshore and in the Alaskan wasteland. Most notably, he became an advocate of the carbon tax. His proposal was for a tax of $15 per ton, rising to $100 per ton by 2040. Inglis called it a “tax swap,” with the carbon tax offset by a corresponding cut in the payroll tax, but critics pointed out that such an offset is politically impossible. In 2009, the Tea Party movement arose, giving working-class and small-business-class Americans a strong voice in the political process, and, as a result, Inglis faced four challengers in the 2010 primary. It’s rare for a Republican member of Congress to lose a primary, especially in the South, but prosecutor Trey Gowdy defeated Inglis by an astonishing 70%-29%. Inglis carried three of the 151 precincts in his home county. Some lamented his loss. “Inglis was exceptional for his bravery in standing up for what he believes is right for climate change,” said David Hunter, a former climate aide to Sen. Susan Collins (R-Maine) and director of U.S. policy at the International Emissions Trading Association, which seeks to cash in on Global Warming fears. Today, Inglis presents himself as a martyr who paid a price for his principled positions on the issues. He serves as executive director of the Enterprise and Energy Initiative, which describes itself as “a campaign to unleash the power of free enterprise to deliver the fuels of the future.” His group received funding from such organizations as the Rockefeller Brothers Fund and the Energy Foundation (discussed below). 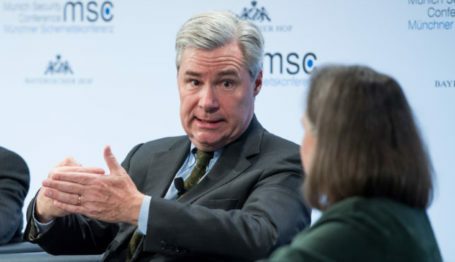 Inglis serves as a member of the board of directors of the R Street Institute, which works to promote the carbon tax idea among conservatives and supporters of free markets. Other board members include former Sen. Bob Bennett (R-Utah)—who, like Inglis, lost his seat to a Tea Party challenger—and commentator David Frum, who presents himself as a voice of reason in contrast to the “crazy” Tea Party movement. In a 2009 Newsweek article, Frum attacked Rush Limbaugh for being divorced and overweight. The R Street Institute was formerly “DC Progress,” a group set up to promote free-market ideas locally in the notoriously anti-business city of Washington, D.C. It took its present form when it was taken over by a splinter group, dealing largely with insurance-related issues, from the free-market-oriented Heartland Institute. R Street is a member of the SmarterSafe.org coalition, formerly Americans for Smart Natural Catastrophe Policy, which says it brings together “diverse chorus of voices united in favor of environmentally responsible, fiscally sound approaches to natural catastrophe policy that promote public safety.” Other members include environmental groups like American Rivers, the National Wildlife Federation, the Sierra Club, the Environmental Defense Fund, the Nature Conservancy, and Defenders of Wildlife. In June, Inglis teamed with Andrew Moylan from the R Street Institute to debate James Taylor of Heartland and David Kreutzer of the Heritage Foundation on the question of whether conservatives should support a carbon tax. [Moylan explains his support for the idea in an article on page 7.] At the debate, buttons were distributed that teased carbon taxers. The buttons read “70/29”—the margin by which Inglis lost his Congressional seat. Said Marlo Lewis of the Competitive Enterprise Institute: “The political choice facing the American people is in no small part that between a Republican Party that is anti-tax and pro-energy and a Democratic Party that is anti-energy and pro-tax. This clear product differentiation is an asset for the GOP. Republicans are truly the Dumb Party if they squander their energy advantage instead of pressing it to the hilt. Conservative advocacy of a carbon tax can only blur the battle lines, divide GOP leaders, and demoralize the movement’s activist base. Green and Perry oppose the tax, but others at AEI appear to support it. In July 2012, it was reported that Kevin Hassett was holding closed-door meetings with left-wing groups to develop a public relations and legislative strategy on how to push the carbon tax during a lame-duck session of Congress. The closed-door meetings included Tyson Slocum, director of the energy program for Public Citizen, a group founded by supporters of Ralph Nader; Kevin Curtis, program director of Al Gore’s Climate Reality Project and a member of the board of directors of the Climate Action Network; and Alden Meyer of the leftist Union of Concerned Scientists. The argument for a carbon tax has fallen on deaf ears among most conservatives. So carbon tax advocates have decided to mold the minds of younger generations, targeting college-age conservatives. “I’ve spent a lot of time on college campuses at College Republicans, Federalist Societies at law schools, energy clubs at business schools, and they all get it,” Inglis told the Daily Caller News Foundation. Combs is the daughter of Roberta Combs, president of the Christian Coalition, which has been pushing “green” policies for some time now. The National Journal reported that Roberta Combs led a Christian Coalition lobbying effort in 2010 to encourage GOP lawmakers to act on climate change. Michele Combs said she started to push “clean energy” issues when she was pregnant and was told she couldn’t eat fish because they might contain mercury from coal-fired power plant emissions. Michele Combs also has a history of supporting policies promoting so-called “renewable” energy and Global Warming theory. In January 2007, she and her mother attended the Transpartisan Women’s Retreat put on by Reuniting America, a group that claims to seek common ground among people of varying ideologies. Others in attendance included Charlotte Pera, VP of the Energy Foundation; Tipper Gore, now-estranged wife of Al Gore; Chellie Pingree, president of Common Cause; Sierra Club president Lisa Renstrom; and Joan Blades, co-founder of MoveOn.org. In an interview, Michele Combs said that she personally met with Al and Tipper Gore, liked them both, and later attended Al Gore’s “climate change” training. The Christian Coalition, a supposedly conservative group, has been accepting funds from left-wing environmentalists for years. In 2009, the Rockefeller Foundation gave the coalition $80,000 to “advance US climate change mitigation and adaptation” policies. In 2010, the Foundation donated an additional $20,000 to achieve the same goals. The coalition has received at least $750,000 since 2009 from the Energy Foundation (EF), a pass-through entity that was founded in 1991 by three of America’s largest left-wing environmentalist donors: the Pew Charitable Trusts and the MacArthur and Rockefeller foundations (see the profile in our sister publication Foundation Watch, Jan. 2006). The EF grants are said to be for educating conservatives and the Christian community about renewable energy issues and climate change. One EF grant to the Coalition for $100,000 was to “identify and educate supporters of renewable energy within the conservative community.” $50,000 went to support “faith outreach” on clean cars standards, $300,000 to support the Coalition’s “America’s Energy Future” campaign, $50,000 to educate “Christian Coalition state chapters and churches on energy and climate issues.” A $125,000 grant to the National Wildlife Federation was to support the Christian Coalition partnership, set up to engage conservative leaders on energy issues. In turn, EF’s grantees include a Who’s Who of left-wing nonprofits, including the Center for American Progress, the Earth Island Institute, Earthjustice (formerly the Sierra Club Legal Defense Fund), the Environmental Defense Fund, Friends of the Earth, the Natural Resources Defense Council, the Sierra Club Foundation, Greenpeace, Rock the Vote, the Rockefeller Family Fund, the Union of Concerned Scientists, and the Apollo Alliance (whose leaders have included Jesse Jackson Jr., Carl Pope of the Sierra Club, former “green jobs” czar Van Jones, and Leo Gerard, international president of the United Steelworkers). But some observers believe a Grand Bargain, a massive backroom deal that includes the carbon tax, is a possibility. Furthermore, the Finance Committee chairman, Sen. Max Baucus (D-Mont. ), has been reported saying that support for a carbon tax has been “creeping up” on the Hill and that “everything is on the table.” There are “more members of the Senate now who openly talk about that than I have experienced. It is creeping up a little bit. Is that going to rise to the level of where it is a very strong, serious provision? I don’t know. But I am not going to pre-judge it,” Baucus has said. Economist Bob Murphy notes that a carbon tax would be a “cure worse than the disease”: “In recent years, more and more self-described conservatives, who generally embrace the free market and are suspicious of taxation and government regulation of business, have come out in favor of a carbon tax. . . . Conservative proponents of the free market, of all analysts, should be wary indeed of any plan to introduce a new carbon tax in the name of promoting economic growth. Despite some claims that a carbon tax could be used for deficit reduction, it’s actually a self-depleting revenue source. It aims to reduce the use of carbon-intensive fuels. As the tax increases, so does the incentive to switch to “green” energy sources, which would deplete the tax’s funding base. The better it works, the less revenue comes in. And not only would consumers be hit with paying more for nearly every good they consume, they would also be forced to pay more for costly “green” energy from sources like wind and solar. Murphy is not the only economist who is skeptical of a carbon tax. A study by the National Association of Manufacturers also took a critical look at the carbon tax and decided it would be a terrible idea. “A carbon tax can be expected to create an offsetting drag on the economy because it will make several major sources of energy more costly to use,” said Dr. Anne Smith of NERA Economic Consulting, which authored the NAM study. 1.A carbon tax starting at $10 per ton that rises at 4 percent per year, similar to a proposal by the Brookings Institution. 2.The same scenario for ten years, but then the tax is cranked up by “as much as necessary” to achieve 80 percent emissions reduction by 2053. Under the first scenario, emissions reduction is only 30% (far less than the 80% pushed by many politicians), and the economy is reduced by $97 billion in 2023. The second scenario reaches the goal of 80% reduction, but reduces economic growth by $1.4 trillion by 2053. Talk about trade-offs! These preconditions for accepting a carbon tax are rarely mentioned in reports about conservative support for taxing carbon emissions. A possible reason for the omission: a revenue neutral bill that would scrap environmental regulations and “green”/“crony capitalism” subsidy programs is a pipe dream. As the Heritage Foundation’s David Kreutzer said in E&E News, it’s a “fantasy” that Democrats would grant so many concessions in order to pass a carbon tax. “We know we’re not going to get a deal like this on a carbon tax,” he said. Michael Bastasch is a reporter for the Daily Caller News Foundation. Dr. Steven J. Allen (JD, PhD) is editor of Green Watch. CRC Haller interns Paul McGuire and Thomas Garvey contributed to this report. The phrase “carbon tax” strikes fear into the heart of many conservatives. After all, most proposals to create one involve layering energy taxation on top of the overly burdensome tax and regulatory regime we already have today. But one need not accept the most extreme forms of climate alarmism or capitulate to growing government to see the potential benefits of taxing carbon. There is, in fact, such a thing as a conservative carbon tax, and President Obama is helping illustrate why conservatives need to consider one more seriously. On June 25, in a major speech at Georgetown University, the President outlined an expensive and complex scheme to regulate greenhouse gas emissions from existing power plants. This policy is likely to cause serious disruptions to electricity generation and to the economy as a whole. Earlier executive action had already applied stricter standards for building new electricity generation facilities, effectively making it impossible to build coal-fired power plants due to their high concentrations of carbon dioxide emissions. But applying the heavy hand of the Environmental Protection Agency to existing facilities was always poised to be the game changer. Unfortunately, it’s a game from which conservatives have been completely absent. Regardless of one’s views on climate change, the simple reality is that there will be federal policy to address carbon dioxide emissions. The Supreme Court’s decision in Massachusetts v. EPA found the agency has authority to regulate greenhouse gases if it determines they endanger public health. The EPA’s “endangerment finding” asserted their legal authority to do so soon after, and subsequent efforts to reverse that plan through either litigation or congressional action have all failed. The question now isn’t whether or not we’ll have emissions reductions policies. Unless there’s a miraculous Republican revolution delivering 60 Senate votes and a Republican President in 2016, such efforts are here to stay. The question instead is whether we’ll achieve those emissions reductions through onerous regulation, with no attention paid to cost, or through a market-based system with clear price signals attached to all fuels. A conservative carbon tax has three key components: revenue neutrality, elimination of existing taxes, and regulatory reform. When combined, such policies would yield a smaller, less-powerful government, a tax code more conducive to investment and growth, and the emissions reductions that policy says we must achieve. The first, and arguably most important, component of a conservative carbon tax is absolute, bona fide revenue neutrality. The federal government is already too large and expensive. As conservatives, we routinely oppose efforts by the Left to raise revenue in order to shore up lavish spending and broken entitlement programs. We should not regard a carbon tax any differently. It should not raise new net revenues. Instead, every single dollar raised should be devoted to tax reductions elsewhere in the code. Ideally, those tax reductions should target outright elimination of some of the most damaging and anti-growth taxes on the books. For example, an MIT analysis estimated that a $20 per ton tax on carbon dioxide emissions could generate roughly $1.5 trillion in revenue over ten years. That’s enough to allow for the complete elimination of several levies that conservatives rightly regard as structurally deficient or duplicative: capital gains and dividends taxes, the death tax, and tariffs. Finally, a conservative carbon tax plan should include wholesale reform of regulations intended to reduce greenhouse gas emissions. Because of the costs and complexity it would impose, a carbon taxation regime should not be layered on top of existing carbon regulations. Rather than using command-and-control regulation to dictate power plant emissions—or, for that matter, set Corporate Average Fuel Economy standards for automobiles—we would achieve reductions through a tax levied on every ton of carbon dioxide emitted. Restructuring in this manner would remove uncertainty for energy producers and eliminate a source of highly regressive (and completely opaque) costs to energy consumers. Reducing carbon emissions doesn’t need to entail bigger government and a damaged economy. A conservative carbon tax could achieve the same goal the President seeks to address without expanding government or contracting economic opportunity. A price signal operating in an open and free market would encourage a transition to less carbon-intensive energy sources, while a clean tax-swap and streamlined regulatory regime would ensure government doesn’t grow larger and more powerful. Conservatives should seize the opportunity to once again emphasize the superiority of free markets over central planning. A revenue-neutral carbon tax with regulatory reform could do exactly that. Andrew Moylan is senior fellow and outreach director for the R Street Institute in Washington, D.C.